As anticipated, Marvel dropped another sneak-peek into Avengers: Endgame at the Superbowl on Sunday midnight, and just like its first official trailer, doesn’t give away much to deliberate on, much to the frustration of the anxious fans. However, we should have seen this coming, especially with Marvel chieftain warning long back that whatever trailers and teasers would be released about the movie, it would consist of visions of only the first 15 to 20 minutes of it. Thanos successfully dusted half of the universe towards the end of Infinity War, and now, the world’s a dystopic and deserted place. Or so the opening sequence of the clip suggests. 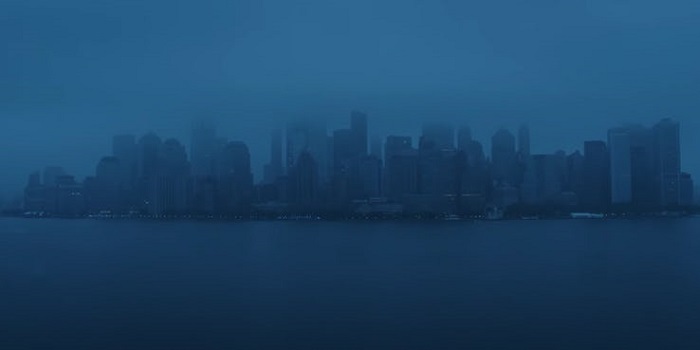 The otherwise picturesque New York skyline is thickly veiled by dark clouds before it cuts back to an aerial view of the Statue of Liberty enwreathed by a horde of ships. The camera then pans over the Superbowl soccer stadium (for obvious reasons) which is not only freakishly deserted from within, but also on the outside as the streets are uninhibited too. This is nothing but a portrait of how the world appears post the snap (or “The Decimation”), as Marvel vehemently conveys Thanos has left the world in all doom and gloom. Before dusting off, Nick Fury could successfully measure the scale of the havoc wreaked by Thanos as he sent a distress signal to Captain Marvel through a vintage transponder. That was enough to suggest the herculean role that she’s going to have in the eventual defeat of Thanos. However, Marvel is still pretty reluctant about revealing Captain Marvel’s role in the film as there’s still no sign of her even in the new teaser. 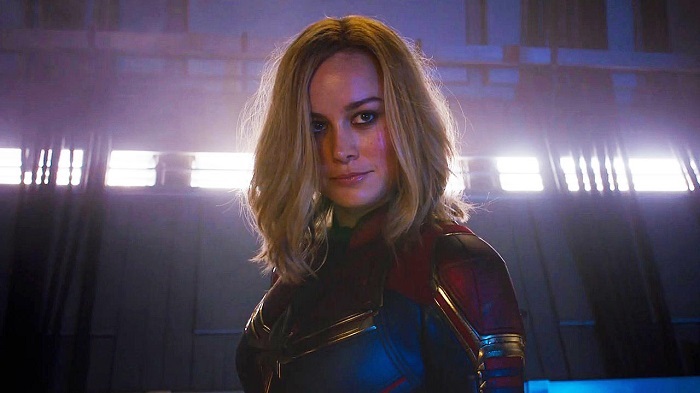 Carol Danvers is set to the be the latest Avenger to be introduced in the MCU, and also the strongest (which is why MCU reserved Captain Marvel’s release just before the Endgame). However, we are not yet sure how exactly she’s going to be involved the proceedings to defeat Thanos. The truth is, Marvel is simply delaying her appearance in the teasers until her stand-alone movie finally hits theatres. That means it’s only after when the second official trailer would finally drop – which is scheduled sometime in March and after the release of Captain Marvel – will we finally get a glimpse of her joining the other Avengers. These were the only two to have survived the snap on Titan, as all the rest around them – Doctor Strange, Spider-Man, Peter Quill, Drax and Mantis – disintegrated. Now, they have to find their way back to earth and the new clip shows Stark and Nebula hard at working something. However, it does hint at the possibility that for all the chatters of Pepper Potts or Captain Marvel coming to their rescue in space, Stark and Nebula might just dig their way out of the lurch themselves. Maybe by fixing an otherwise wrecked spaceship. Also, Karen Gillan, who plays the reluctant daughter of Thanos, had hinted at Nebula’s bonding with a certain Avenger in this new film, and we can only affirm after this that it would be with the Iron Man himself. When the first trailer dropped, Rocket Raccoon, the only surviving member of the Guardians of the Galaxy, and Rhodey, the only surviving Avenger not from the original six, were conspicuous by their absence. But here, we get brief glimpses of each of them. While the War Machine could be seen suiting up besides the Ant-Man following a clip of him outside the Avengers mansion with his cohorts, gazing at something in the sky, Rocket is seen peering into a woody place across the seaside. What place it exactly is, remains a mystery though. However, towards the fag end, we can also see shadows of the puckish procyonid in the company of the other Avengers walking somewhere in the Avengers mansion. 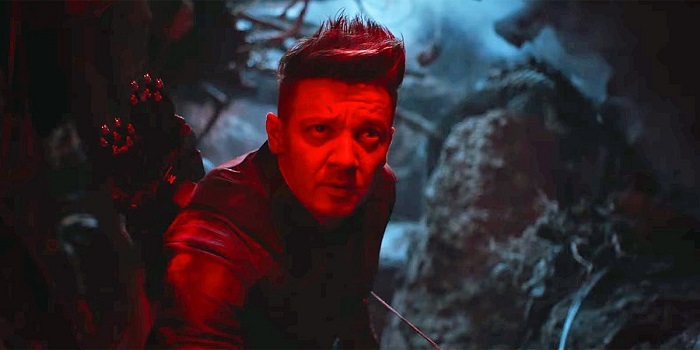 Completely inconspicuous from the events of Infinity War, Hawkeye – now Ronin – made a suttle yet striking return in the first official trailer of Avengers: Endgame. His family is thought to have been faded to dust by the snap, compelling him to trade his Hawkeye avatar for a more sinister Ronin, his samurai avatar in the comics. However, if you notice carefully, Jeremy Renner is actually sporting a quiver on his back that’s filled to the capacity with arrows. This means that he isn’t Ronin yet. In fact, this is a shot from the scene before his transformation. But his whereabouts are still unclear. He seems to be in some dark, dungeon-like hole pensively rolling his eyes at something. Perhaps the closest one to have come to killing Thanos, the god of thunder missed only by a whisker as the Mad Titan survived his ambush enough to snap his fingers and accomplish his mission. Resigned to defeat and dismay in the earlier trailer, Thor could now be seen hobbling his way through a tunnel that bears a striking resemblance to the one that Thanos limps through towards the end of Infinity War after absconding from Wakanda. This could be mean that Thor is hot on his coat-tails and has somehow discovered Thanos’ whereabouts. And what else, he’s got his stormbreaker too! Watch out Thanos, he’s back! And this time, he may actually go for the head. #1 Captain America has his shield back! Last spotted during the culmination of the events in Civil War, behold, looks like Captain America would be wielding his iconic vibranium shield again in Avengers: Endgame! And also, most probably, for the last time. 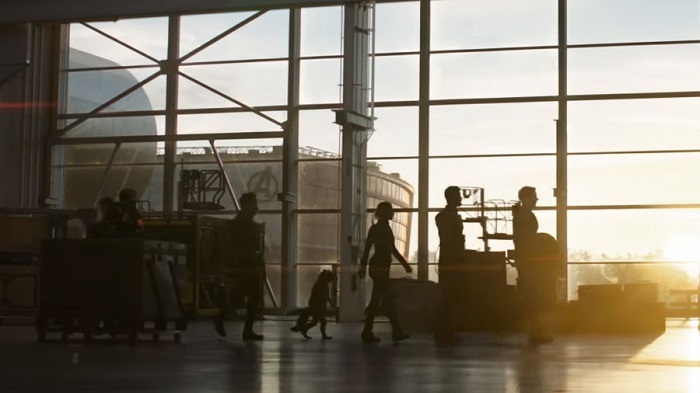 Steve Rogers first buckles up the shield to his arms and is then spotted carrying it as he is followed by the surviving group – minus Tony and Nebula, of course – in a hangar at the Avengers compound. Black Panther gifted him a new pair of shields in Infinity War, but it would only make sense for Captain America to revert back to his old crime-fighting paraphernalia in what’s likely to be his last ever appearance in the MCU. Directed by Joe and Anthony Russo, Avengers: Endgame opens in cinemas on 26 April 2019.